MBA Admissions: Should You Apply Round 1 or 2? Over the weekend I received an email with several questions, but one seems to be coming up more frequently and earlier this year. "Last question…assuming I can have all my apps ready by R1 should I apply then or is it application suicide considering that is when the sharks apply?" "Regarding timing here is Linda’s Rule: Apply in the earliest round possible PROVIDED you don’t compromise the quality of your applications. "There are plenty of sharks applying in all rounds, but there are more spaces available in the first one and generally fewer applicants. So if your applications are in good shape and present you well then, that is the best time to apply. Linda’s Rule also implies that you shouldn’t rush your applications and turn in less than your best in a misguided effort to "submit early." Submitting something mediocre first round is never as good as submitting something outstanding second round." 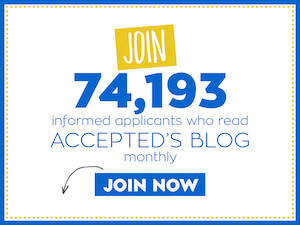 For those of you who know you want to apply Round 1 and start that process as soon as the essay questions are public, you have another reason to start ASAP: Accepted’s Early-Bird Special. Accepted is offering a 10% discount on MBA Essay Editing and its Comprehensive MBA Program Packages in June and July. For those of you trying to decide when to apply or interested in obtaining a bit of advice or validation from an admissions professional at this point in the admissions process, check out the MBA Admissions Telethon. Last updated on June 19, 2007.